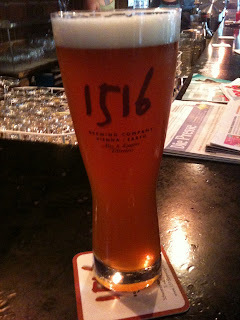 As ever when visiting a new city I wanted to try to find some good locally brewed beer in Vienna. 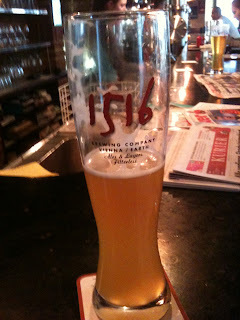 I didn't have to search too far when I found out about the 1516 Brewing Company brewpub based in the city centre. This brewery makes a range of specialy beers, some in a traditional Austrian style and some decidedly non-Austrian. The bar itself is welcoming and relaxing and on the third visit the distinct and comforting smell of yeast and malt from the brewing permeated the building. It really is a beer geek's paradise with all of the wide range of beers described in detail on the menu and it seems that a lot of these brews were designed by guest brewers from other international breweries. I think this is an excellent model that works in the UK and is already being done by Brewdog and Brewharf. We tried most of the beers during our three visits to the bar some of which I will describe below. Check out the head on this! This Altbayrisch Dunkel is a delicious dark lager. 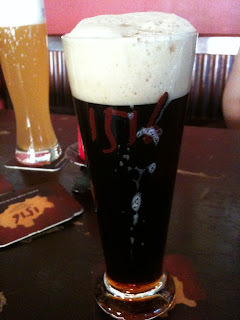 It is claimed by 1516 that most Austrian black lagers are standard lagers with colouring added but theirs is authentically produced with dark malts. I cannot comment on the other Austrian dark lagers but I can tell you that this effort was rich with the coffee and chocolate flavours associated with dark malts. A fine example of this style which is becoming popular in the UK. 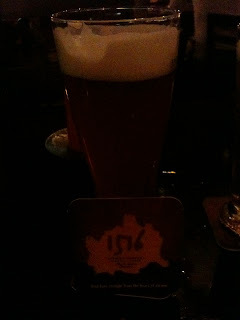 This terrible picture is of one of the most intriguing beers I had at 1516. This is the Victory Hopped Devil IPA. This is the brewery's first brew with "whole leaf hopping" and brewed by US brewer Bill Covaleski from Victory Brewery in the US. I'm guessing it's an exact replication of Victory's own Hop Devil. The hops in this are powerful and I was instantly transported back to the USA and my first taste of Russian River's blind pig. This is half a glass of 1516's very nice Bavarian style weissbier. I found this a lot more refreshing than some examples I have had here with good fruity depth. And lastly is a glass of the M&N Amber. This was dry and hoppy from Amarillo and Cascade hops with five different malts giving it the rich amber colour. This morning I went for a late breakfast at Meierei, the cafe on the ground floor of Steirereck I have previously described. Compared to previous days in Vienna which have been glorious, crisp and autumnal, this morning was grey, cold, windy and autumnal. So I treated myself to a walk round the park and a considerably better value breakfast that the 27 Euro buffet monstrosity offered by the Hilton. 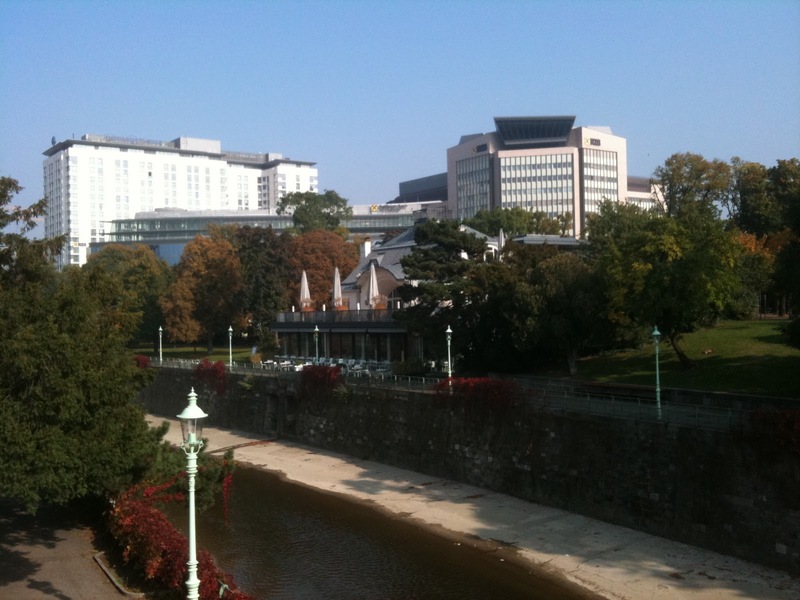 This is a view of the terrace outside the cafe taken from a bridge over the canal. Meierei is modelled on a milk bar and has an array of breakfast dishes, 160 cheeses and many variations on milk! 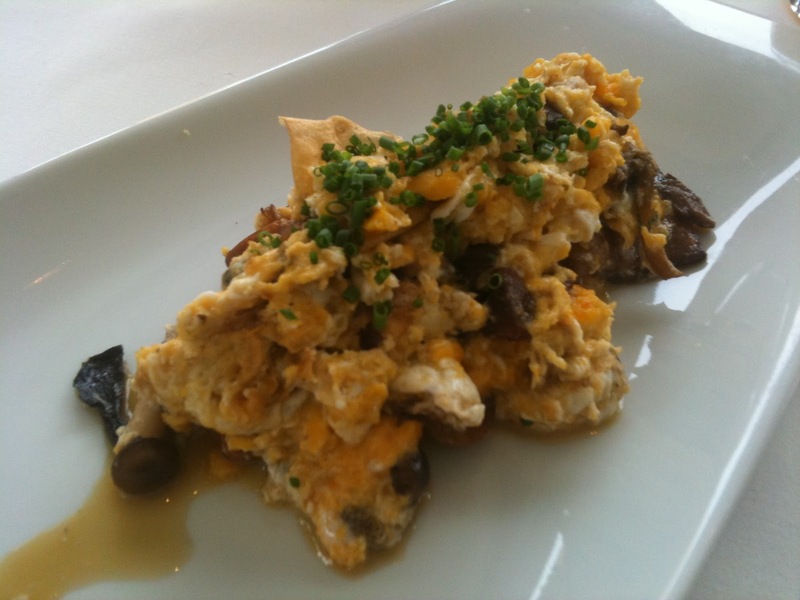 My eggs arrived mixed with yet more of the wild mushrooms I so enjoyed during my previous visit to this establishment. I don't think I have ever seen such generosity with mushrooms. I indulged as much as I could. A brief note on the milks from this cafe. The range of milk based produce here is vast. 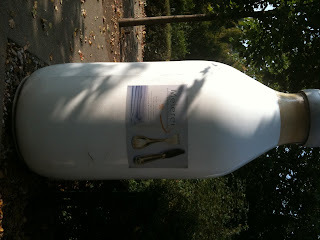 You can have cow, goat, soya, coconut, sauermilch (a fermented and fizzy milk) and even horse. Much to my disappointment they had run out of horse milk. 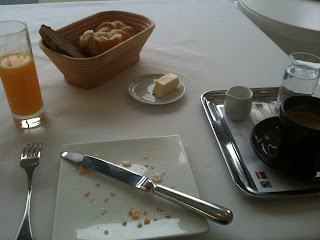 Maybe next time I'm in Vienna I will indulge again. I have been lucky enough to go to some exciting cities to visit some industry conference in the past 4 years. 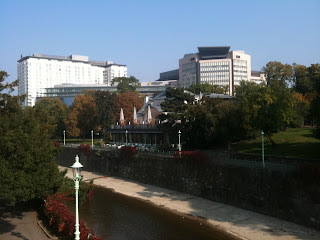 This year I have had the pleasure of visiting Vienna. A cursory search for places to eat and drink gave a definite response. 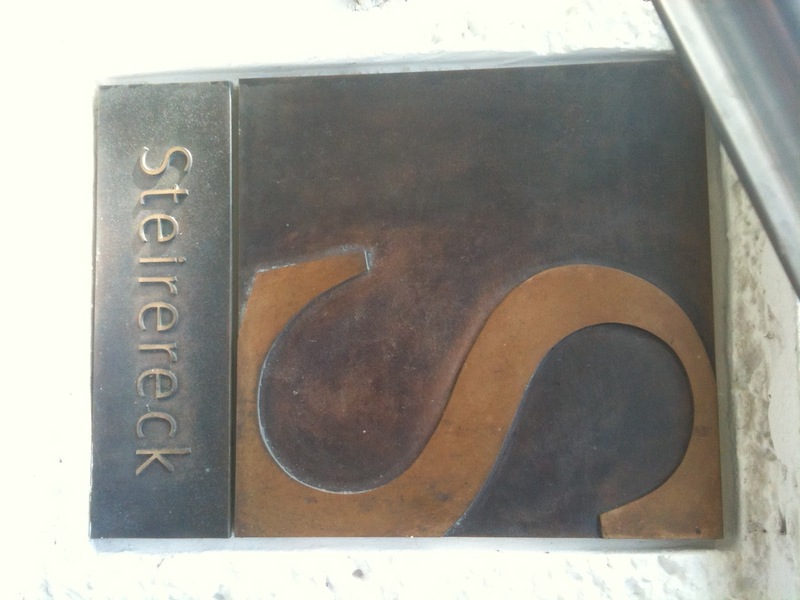 It seemed we had to visit Steirereck restaurant in the Stadtpark. A 2 Michelin starred establishment and number 21 in the San Pellegrino top 50 Best Restaurants, it certainly has good credentials. The tasting menu was an excellent showcase of local ingredients and modern technique. Unusually there is a choice for every course in the 6 or 7 course tasting menu and if you choose the 6 course you can omit any course you like from the 7 listed. This kind of flexibility brings the feeling of control you get from A La Carte but still with the exciting trip through the skills of the kitchen that comes from a multi-course tasting menu. Each delicate dish arrived with a small card listing all of its components. This is an excellent idea that I think all restaurants of this kind should copy. It is often the case that without the menu in front of you, it is easy to forget what course you picked for number 4 or 5 let alone what the red sauce is that has been artfully smeared across your plate. With these cards, each with a 3 digit number referring I presume to it's placement in the history of the restaurant's dishes, you can refer back to this construction and for me this really added to the enjoyment and understanding of the food. Others may think that this encourages the food fetishism that occurs in restaurants like this, but for us (and I am guessing the establishment itself) this kind of meal is all about the food. I am glad that I don't live in Vienna because the numbering system appeals to the completist in me and I think I would have to embark on a long mission to collect all the numbers, much like an expensive Panini football sticker collection. I wish I could show you some beautiful photography from the meal but as is often the case I didn't feel comfortable photographing in this kind of intimate environment and the lighting was dim so Iphone snapping was would not have done justice to the food. There were a number of highlights for me incuding "Oysters", a clever play on the shellfish and the morsel of tender flesh usually enjoyed by the roast chicken carver while divvying up the rest of the meat. There was also an excellent marmalade icecream that came with my dessert, I could have eaten a whole bowl of this. Another reason I had so much pleasure with this menu was the almost excessive celebration of mushrooms throughout the evening. Highlighting the menu's seasonal approach, no less than 5 of the courses between us had wild mushrooms of some kind. Trompettes de la mort, chanterelle, cepes and the medley of different small varieties that garnished the venison dish we had meant that this was true fungi celebration. It is a very good thing that I love mushrooms because I ate a lot that night from Claire's plate as well as my own. So to summarise, an excellent evening of food with Austrian wine to match every course, lovely relaxing decor and service and some surreally disorientating toilet facilities mean that Steirereck truely deserves is reputation as the best restaurant in Vienna. I think it rivals the best in London and New York. 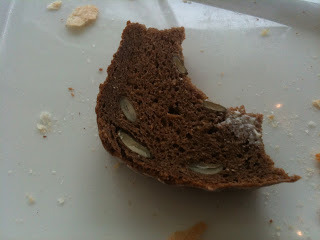 I popped back to the attached cafe Meierei for breakfast this morning. 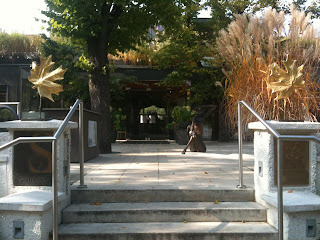 And a brief post describing this will follow soon.